Thanksgiving is a day when many Americans gather together with family for an afternoon of food and football, but just how far do people travel to spend turkey day at Grandma's house? The AAA estimated that 42.2 million Americans traveled more than 50 miles over Thanksgiving weekend last year. Here are some fun factoids...errr...giblets for you. 1. The National Turkey Federation estimated that 46 million turkeys—one fifth of the annual total of 235 million consumed in the United States in 2007—were eaten at Thanksgiving. 2. Cranberry production in the U.S. is expected to reach 750 million pounds in 2011. Wisconsin, Massachusetts, New Jersey, Oregon and Washington are the top cranberry growing states. 3. According to the Guinness Book of World Records, the largest pumpkin pie ever baked weighed 2,020 pounds and measured just over 12 feet long. It was baked on October 8, 2005 by the New Bremen Giant Pumpkin Growers in Ohio, and included 900 pounds of pumpkin, 62 gallons of evaporated milk, 155 dozen eggs, 300 pounds of sugar, 3.5 pounds of salt, 7 pounds of cinnamon, 2 pounds of pumpkin spice and 250 pounds of crust. 4. The sweet potato is most plentifully produced in North Carolina, which grew 972 million pounds of the popular Thanksgiving side dish vegetable in 2010. Other sweet potato powerhouses included California and Mississippi, and the top producing states together generated over 2.4 billion pounds of the tubers. 5. 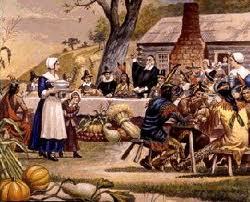 Though many competing claims exist, the most familiar story of the first Thanksgiving took place in Plymouth Colony, in present-day Massachusetts, in 1621. Plymouth colonists and Wampanoag Indians shared a harvest feast, acknowledged as one of the first Thanksgiving celebrations. The first Thanksgiving celebration lasted three daysMore than 200 years later, President Abraham Lincoln declared the final Thursday in November as a national day of thanksgiving. 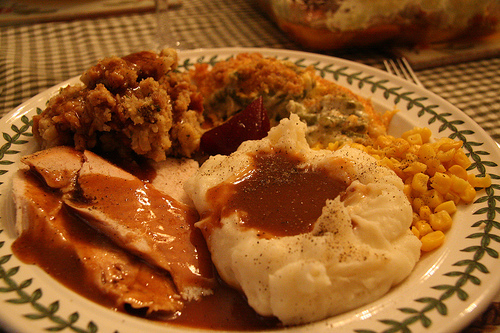 Congress finally made Thanksgiving Day an official national holiday in 1941. 6. The top five most popular ways to serve leftover Thanksgiving turkey are: sandwiches, soups or stews, salads, casseroles, and stir-fry. 7. Only tom turkeys gobble. Hen turkeys make a clucking noise. A large group of turkeys is called a flock. 8. Several Thanksgiving day parades are broadcast on television. These parades are organized by big stores in several American cities. 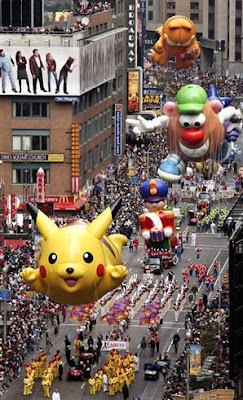 The parade organized by the Macy's store in New York is the biggest. Giant balloons 200 meters high float above the street. The balloons are in the shape of creatures from popular cartoons and television programs. People on the ground hold heavy ropes so the balloons do not fly away. Hey...Look! It's Mr. Potato Head!! Stemming from traditions seen in Europe, the first parade was put on by Macy’s employees who were first-generation immigrants wanting to have festivals similar to the ones their families experienced growing up in Europe. 9. 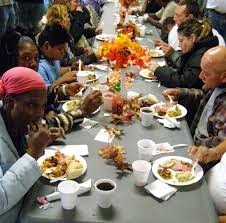 Thanksgiving also is a time when Americans share what they have with those who do not have much. Churches and other groups provide free meals for old people, the homeless, and the poor. Many Americans give turkeys or other food to these groups. Some spend part of the day helping to prepare and serve the meals. Several families in my neighborhood go downtown in the morning to the homeless shelter. It is a great experience to volunteer and share time with those that are so truly appreciative. 10. 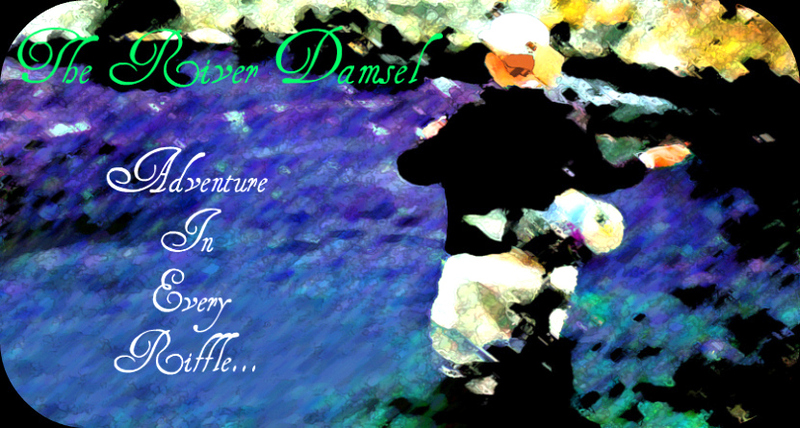 Did you know that the River Damsel started her blog on November 24, 2010? Yes, my friends, the blog has done it's best to bring you some type of reading enjoyment these past 4 years. This will be the 349th post. There have been 230,000 pageviews on those posts, along with 3,800 comments. I know that it wouldn't have been as successful if it wasn't for my wonderful readers and commentors. So, thank you from the bottom of my heart. I have thouroughly enjoyed my time with my fellow bloggers. Your stories and postings are often inspirational to me. The friendships made are definitely a bonus... I love meeting my fellow bloggers in person and to be able to fish in different parts of the country from time to time. = ) It has been a great experience. It's been another great year. A very memorable one. Some amazing fly fishing trips to write about. A very lucky girl am I. The writing has slowed down a bit this past year. But, when life gives you a little health hiccup to fight, all you can do is put one foot in front of the other and do your best. Funny, how fishing can make most of the aches and pains subside for a little while. Maybe that is why I haven't put that fly rod away yet... Ha. It soothes the body, the soul, the mind. Be good and enjoy your time with family and friends during the upcoming holidays. Give out as many hugs as you can. For this life is about people in your life, not the material things one gains. Be grateful for all that you have. I love you all. Happy Thanksgiving!! Dear Emily, I wish for you a happy fun filled Thanksgiving with family and friends. Thank you for being an inspiration for so many, especially me. There are lots of fishing trips left for both of us. Maybe even a few together! Thanks, my dear friend. We will fish together next spring for sure! This year got a little crazy health wise, for you and me. Emily, just finished watching my Cowboys take a beating. Thanks for the positive post. Alan ~ We won't talk football then. = ) Glad I could put a more positive spin on things... Now, where are the tums? Mel ~ Until I come out next Spring... Be ready for bluegill fishing! Thanks, bud. I appreciate it. Just a little bit of fun over here,..
A belated "Happy Thanksgiving" to you too RD! 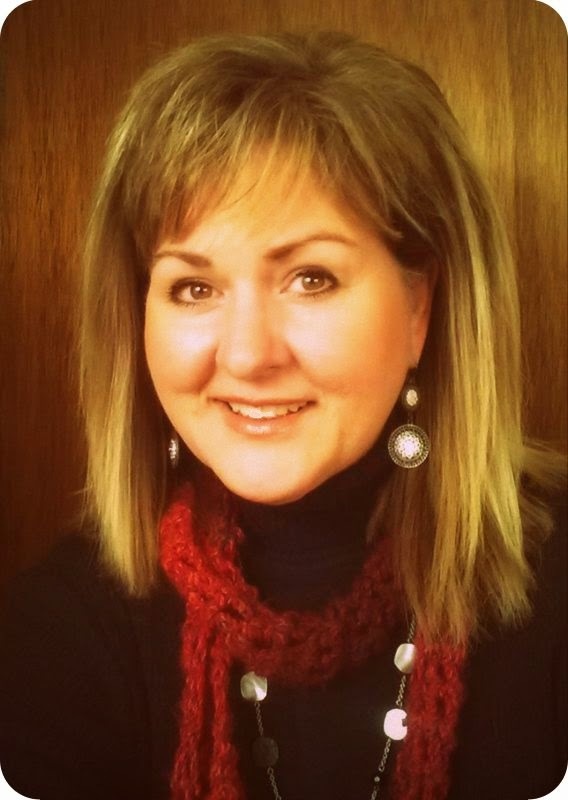 Glad you started this blog way back when...it's been a fun 4 years! Congratulations on your success. Isn't the blog world amazing, I hope to have your success some day and have that many views/posts. Love reading/viewing everything you put up. Hope you had a lovely Thanksgiving. Thanks, Atlas. I appreciate you coming over and putting up a comment every once in awhile. Fly fishing wouldn't be the same for me if I wasn't writing about my adventures. I'm sure it will make a great book someday. Lol.